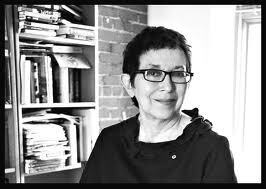 It often seems that Canada is a great country in which to be a literary translator. If you are translating a Canadian author, published by a Canadian-owned publisher, for a Canadian-owned publisher, there is grant money from the Canada Council; there is (usually) recognition in the form of your name on the front cover; a brief bio on the back cover; reviewers have been trained (by activist translators) to at least make reference to our work (on a good day: “So and so has translated with grace and flair the language of the original”; on a bad day: “So and so has made a total mess of whatever grace and flair there was in the original”); there is a GG’s literary award for translation – two, in fact, English to French and French to English; translations are eligible and have three times been shortlisted for the Giller Prize. Some thirty years ago when I wrote my first translation there was none of this. 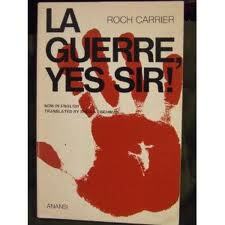 The novel, with the oddly – to me at the time – bilingual title La Guerre, Yes Sir! was published by the then young House of Anansi, after the translation I had done as a personal exercise had made the rounds of a number of other houses. I wanted to kiss the feet of Dennis Lee and Dave Godfrey for recognizing that it was an important book. And they wanted to pay me! Two hundred and fifty dollars! I did not want to accept it, this was a small, newborn publisher after all, but I was talked into it and spent the money on a pale blue suede coat. The sixties still had a few years to go . . . So a translation was published and I found that I’d enjoyed the process. The author, Roch Carrier, wrote another novel, Floralie, où es-tu and I translated that too and Anansi published it too and I liked translating even more. The process spoke to a couple of characteristics of mine: I love to work with language, with words and sentences. Translation allowed me to have the pleasure of playing with words and sentences after an artist, the author, had already done the hard work, the work of the imagination. And then, I am a solitary person, I enjoy working alone, I am disciplined and never have to drag myself off to do the job. (That is also, of course, because I love what I do.) Some time along the way the Canada Council had created its Program of Grants in Aid of Translation (French-English and English-French only, and I’ll come back to that) and for translating Floralie, Where Are You? I received what seemed like an enormous grant in the low four figures, calculated at four cents a word, for some six months’ work. My files are elsewhere now so I can’t check the total amount, but I know that it was by today’s standards piddling. Time passed. I had to find a way to make a living in my new hometown, Montreal. I’d translated two novels, I’d written a few dozen book reviews, worked in publishing and that was about it for my professional qualifications. What to do? I remembered a talk with the great Alan Brown, superb translator of difficult fiction (Hubert Aquin and Gabrielle Roy) and poetry (Anne Hébert), who suggested that to translate every year three or four novels – which the translator liked and had chosen – could be an agreeable way to live one’s life. I decided to try. Roch Carrier continued to write – indeed, he created a Canadian Christmas classic with his story “The Hockey Sweater ” – and I have continued to translate him, I learned about the work of some other young francophone writers in Quebec and soon publishers were asking me to translate them. André Major, Marie-Claire Blais, Huron Chief Max Gros-Louis, Jacques Benoît: all these were brought to me and in the cases of Major and Blais I would go on to translate another novel or two. And now, thirty-odd years later, I’ve translated something like 150 books, or 138, I haven’t counted recently the books that now fill two complete shelves, plus overflow. I’ve had the tremendous pleasure of introducing some of my favourite writers to a broader readership – the English-speaking world. In most cases I have been the one who approached a publisher – with Lise Bissonnette, Christiane Frenette, François Gravel, Gaétan Soucy and Élise Turcotte and in particular, of Jacques Poulin. In some cases the publisher was won over instantly, in other cases – such as Poulin – it took years of patient wheedling. This aspect of my work never seems like work because I consider what I am doing to be a logical extension of my enthusiasm for a book or a writer. 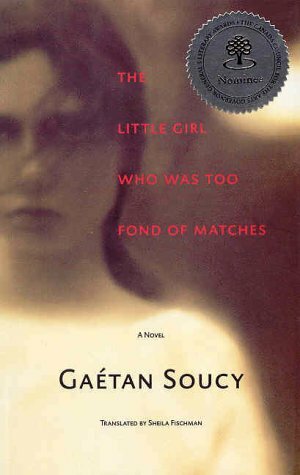 An American translator told me recently, “I love bringing people together,” and I feel that is what I do when I bring books to people who didn’t know them and couldn’t read them in the French original. When I am enthusiastic about a book I want everyone I know to read it too. Still, literary translation does not always enjoy a comfortable seat at the literary table. This is due partly to ignorance of just what it is that we do and how we do it, partly to a misguided notion that being obliged to read a work in translation betrays a reader’s ignorance, so that translation is perceived as something shameful, an activity to be hidden or camouflaged. How many times have you heard someone say apologetically that she has “only” read a book in translation? As if every reader must have a profound knowledge and understanding of all the written languages in the world . . . This is particularly true in Canada, for other reasons that are perhaps political or at least socio-political. Should all Canadians be bilingual in French and English? Who knows? Maybe. And maybe some decades from now, thanks to language immersion schools and good intentions, they will be. Then English-French and French-English translation would be a thing of the past, something to be examined briefly during a survey course in Canadian literature. Literary translation programs would disappear from universities – not necessarily a bad thing – affording students and professors alike more time for reading the literatures of the world. In whatever language . . .
For now, there is plenty of room for improvement in the world of Canadian literary translation. If that world were perfect there would be no grumbling or hair-raising stories from translators about ill treatment; from writers about the lack of translations of their works; from publishers about inadequate grants and funding; from booksellers about low sales. And this translator would not find herself complaining constantly about the narrow criteria employed by the Canada Council for the Arts in determining eligibility for translation grants and for the Governor General’s Literary Awards for Translation. When these were first established (after being known for the first few years of their existence as the Canada Council Translation Prizes) there was a perceived quasi-political reason for encouraging and recognizing only translations back and forth between English and French. It seems to me that the political point has now been made: our national literatures have grown up and now include writers of many backgrounds, national origins and mother tongue. Some continue to write in that mother tongue, others have adopted French or English. And once again, it is the work of translators that has given readers access to the work of Josef Skvorecky and Yehuda Elberg, among others, though their translators are not eligible for GGs because they translate from Czech and Yiddish.